Well, this mini is just very. very well done. 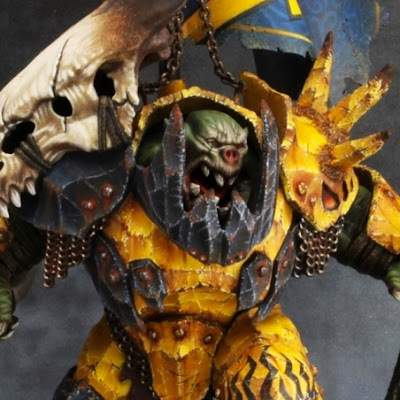 I like how they stuck with the traditional Ironjawz scheme, but really dirtied it up and brought some realism into it. The dirt, grime, and scratches on it are great and really ground this guy in reality. Despite the level of weathering on him the highlight are crisp and all of the blending is perfectly smooth. This is a hard balance to achieve because lots of times the weathering can overpower the rest of the painting and make it hard to realize the skill level on show beneath it. The skin is very well done as well. The weather beaten look to his face is particularly cool. His skin definitely looks aged and weathered, as a Megaboss should. The inclusion of the back banner is an interesting choice. The freehand on it is top notch, and the idea behind it is pretty cool. It looks like it was a Stormcast banner that the orruks captured and defiled. 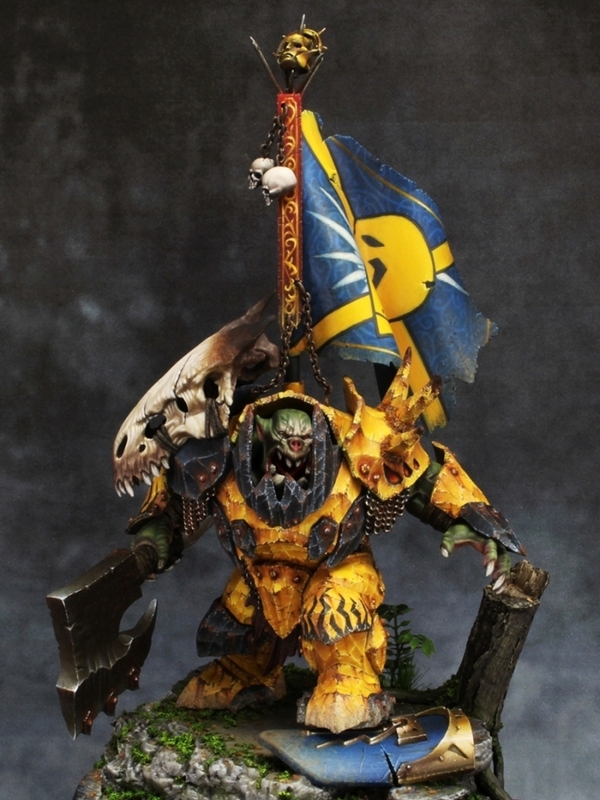 The only thing that seems a bit odd to me is how neat and clean the yellow Ironjawz symbol painted on top of the Stormcast banner is. It seems a little to clean for orruks and pulls me out of the scene a little bit. 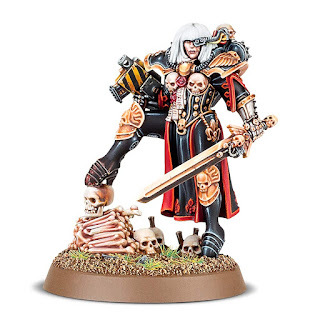 Including the shield on the base though is a nice tough and helps reinforce the narrative they were going for. Overall it's definitely a top notch model, I just wish the orruk part of the banner was a little dirtier. Veridyan model! And some other large box sets too (rumor to be a boxed army set!). The event kicks off this Saturday, so please check into MINISTOMP.COM around 12 - noon eastern to see more details and how you can participate!